It seems like everytime we turn around these days, some symphony is cashing in on videogames. Who knew those murder simulators would also become music appreciation stimulators? Then again, what better medium to allow composers dozens of hours of time to work with: It\'s like the ultimate symphonic challenge. The recently announced PLAY! tour will bring some more contemporary game music to the orchestra pit, as opposed to other recent symphonic adaptations of classic videogame music. Check the link to tour info and catch it if it\'s coming near you. We\'re only days away from the release of Mario Kart DS, the most recent iteration of Nintendo\'s popular franchise and the first DS title to use Wi-Fi to play on Nintendo\'s online service. 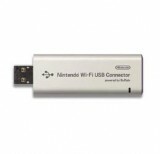 This close to release, review copies and test builds have been making their way to various members of the gaming community, including 1UP.com, which now has an article on the Nintendo Wi-Fi adapter. The article shows screenshots of installing the software on a PC, and connecting to it via Mario Kart DS. Give it a week, and you\'ll probably be able to see these screens for yourself. Is there room on a gaming site for news that\'s not exactly new? We think so. Sometimes things that are old are still cool, even if they\'ve slumped a bit below the radar in recent years. The N64 modding community is an excellent example; modders online have been updating old N64 ROMS for years, including replacing old textures with high resolution images, cell-shaded graphics, and other nifty treats. Around for a while or not, Zelda: Ocarina of Time is still cool in our book, especially in high rez. In the same vein, if you\'re looking for something to drain away your time, check out Lunar Magic, a level editor for the SuperNES title Super Mario World. Yeah, it\'s been around for a while, but if you\'ve never seen it, it\'s new to you. One of our most favorite new gaming websites (and we\'ve seen a lot of them) is The Escapist: http://www.escapistmagazine.com . The Escapist is a beautifully formatted PDF and Web zine available for free. They publish weekly, and have quickly risen to the top of the gaming journalism heap. Featuring incredibly smart and well-written articles from both well-known game journalists and newcomers, The Escapist regularly makes us really, really jealous. Their latest issue is up, and it deals with the timely topic of Women in Gaming: developers, players, etc. Check out the latest issue, and then browse their back issues for some of the greatest gaming coverage available.